Just regular folks. : Violin, Kelly, last lesson. 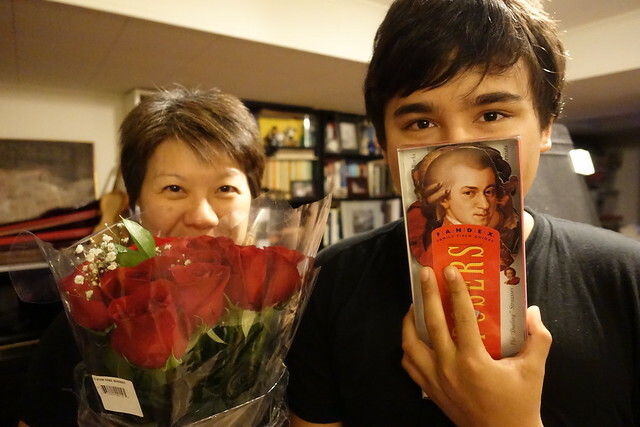 Well, today was Vince's last violin lesson (sorry Kappa!). 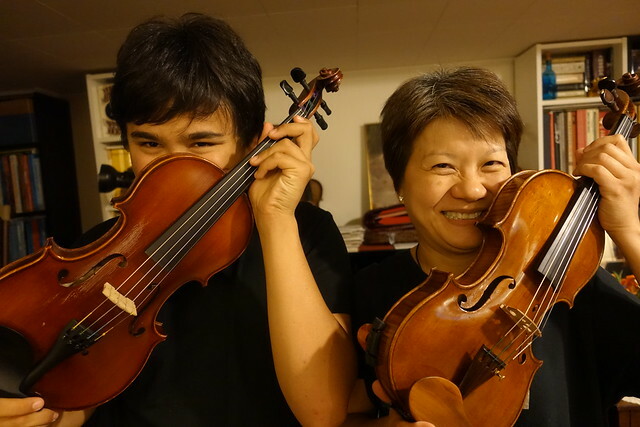 I didn't tell Kelly in advance that we had decided to end violin - I wanted us to do it in person and together. Vince walked in and handed her a dozen roses and a box of chocolates and declared - this is my last lesson (and shed a few tears...)! It's been a long time since Vince has put in regular practice sessions and I know I've been dragging this on because I love Kelly and - who knows - I wanted an excuse to see her every once in a while? Kelly was not surprised & did not try to convince him to keep going, rather she commented how we had lasted so long. We found Vince's first violin notebook and it indicated that 9/9/2010 was his first lesson! Almost exactly 7 years with Ms. Kelly. The end of an era. 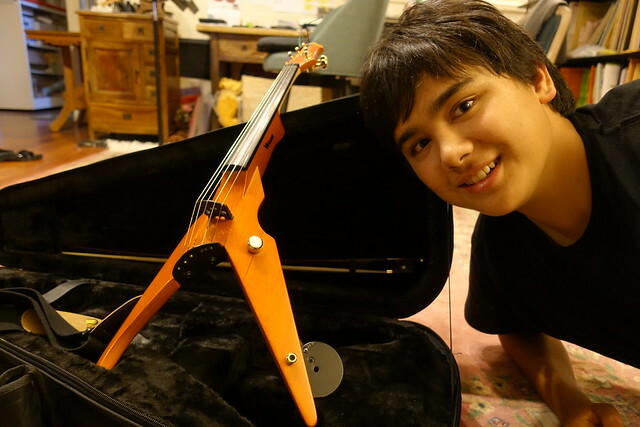 Vince didn't play any violin at his last lesson, rather we looked at Kelly's new 5-string electric violin and chatted about school and friends and what we were planning on doing in the coming year. Rosh Hashanah, homecoming, happy Edda. Home, home depot, AP classes. A whole weekend, couch cover, angry birds. Cub scouts, power meter, cheese snacks.